Dr. Oetker came to the Indian subcontinent in the year 2007 and acquired Fun Foods the next year. The brand that follows a very simple yet brilliant philosophy- ‘Quality is the best recipe’- is available across 40 nations worldwide. Read more about Dr Oetker brand and its Strategies. With its headquarters located in Bielefeld, the German company Dr. Oetker is a producer of several products, including cornflakes, cake decoration, pudding, frozen pizza, yoghurts, cake mixes and baking powder. The multinational company was founded in the year 1891. Its first produced item was Backin which is a measured quantity of baking powder that produced a cake on being mixed with 500 grams of flour, among other ingredients. Currently being headed by CEO Richard Oetker and having a revenue of about 1090 crores EUR, the brand Dr.Oetker began with merely a packet of white powder. Presently, the company is widely renowned across the globe as being of the highest quality and also tasting absolutely delicious. The success story of the brand took place over a span of more than 100 years when pharmacist Dr. August Oetker revolutionized baking with the help of a selection of powders, a mortar and precision scales. Backin baking powder made the making of perfect cakes easier for women of the time and soon the popularity of the brand started growing. Till the present date, the precise calculations made by Dr. Oetker in the world of baking have carved his name on stone as the pioneer figure and the father of one of the initially branded articles. Taking over the small pharmacy company back in 1891 paid off as it slowly and gradually spread and grew into a business enterprise. The initial phases of marketing included the inclusion of Dr. August Oetker’s name on the sachets of the Backin baking powder that his company developed. Astute and novel business strategies were used to drive up the demand for the carefully measured and ready-to-use baking powder packets. Dr. Oetker began publishing recipes in newspapers and on the backs of the baking powder sachets. Advertising grew rapidly, as did the name and fame of the brand. This led to the movement toward industrial production from painstaking and tedious manual labour. Close to the end of the century came the red-and-white ‘Hellkopf’ silhouette which has managed to survive in the present world of extreme competition and is synonymous with the brand name Dr. Oetker. With the gradual increase in popularity of Dr. Oetker, the brand expanded and the launch of its first ever foreign production facility took place in the year 1908 in Vienna. The Company came to an abrupt temporary halt when Dr. August Oetker lost his own son in 1916 during the First World War. Just a couple of years after that, Dr. Oetker himself succumbed to the cold dreadful hands of death and all that was left then was his legacy. Even with his demise, the brand did not falter and continued to keep itself secured as one of the most prominent and promising European brands. The sheer belief and perseverance of young Dr. Oetker has now made the brand into a grand success. What sets the name of Oetker apart is how a small thing managed to turn itself into one of the first branded products of Germany, one that has stood the test of time and made a place in the hearts of one and all. Also the adherence of the company to its good quality of products and maintenance of every safety standard possible for the benefit of the consumers and customers have helped in and backed the success of Dr. Oetker. A highly comfortable, reliable and stable system security and internationalization have also contributed to the success of Dr. Oetker. Following the death of August Oetker’s son in 1916 and of Oetker himself in 1918, the reins of the company were held by Dr. Richard Kaselowsky, who was the second husband of Ida, the widow of August Oetker’s deceased son, in 1920. He quickly took control of everything that Oetker had left behind and with an ardent interest in business he soon resumed the work of international and foreign expansion that Oetker could not complete during his lifetime. The interrupted process of expansion to foreign lands began functioning smoothly and sister companies were born in places including Italy, Denmark, Belgium, Poland and France. But the onset of the Second World War meant another huge blow for Dr. Oetker as an air raid on Bielefeld claimed the lives of Kaselowsky and his family. Hence, the company then came under the leadership of August Oetker’s grandson, Rudolf-August Oetker. His plans for rebuilding the economic structure of the battered company worked and Dr. Oetker soon moved into newer food product sectors like ready desserts, frozen foods and crème fraîche. The expansion continued into sectors like insurance, banking, shipping, wine and spirits, sparkling wine, non-alcoholic beverages and beer. Next came along Dr. H. C. August Oetker, the great-grandson of Dr. August Oetker, in 1981. Several legally independent units merged during his tenure and the Oetker Group was divided into six categories- Banking and Other Interests (several high-class hotels across the European continent, financing and participation, chemicals); Shipping; Food; Beer and Non-Alcoholic Beverages; Wine and Spirits; and Sparkling Wine. Apart from being one of the biggest names in Germany, Dr. Oetker now has strong market influence in China, India, Argentina, Brazil, Canada and Eastern and Western Europe. As 2010 began, Richard Oetker, Dr. H. C. August Oetker’s brother, stepped in to take control of the company. He is the current chief executive officer of Oetker Group and places the utmost importance on innovation, creation of jobs and apprenticeships and stable earnings. 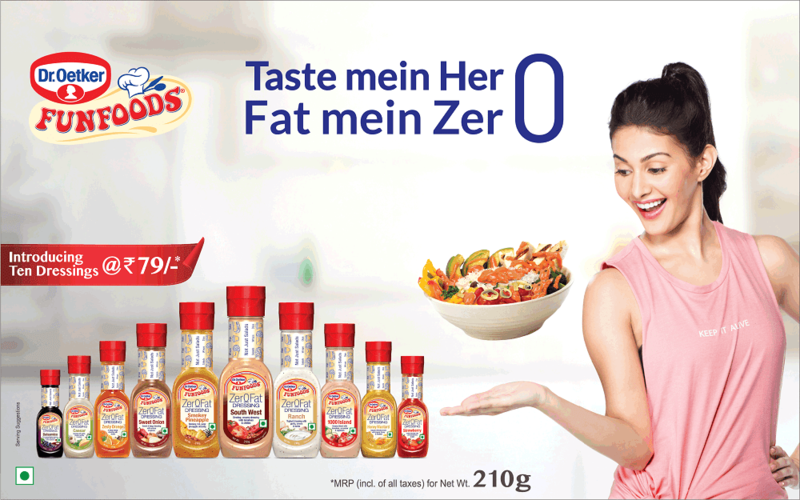 Dr. Oetker launched its first campaign in the Indian market titled ‘Food Mein Daalo Magic’ under the brand FunFoods and popular Indian celebrity Sonali Bendre has been selected to be its brand ambassador. 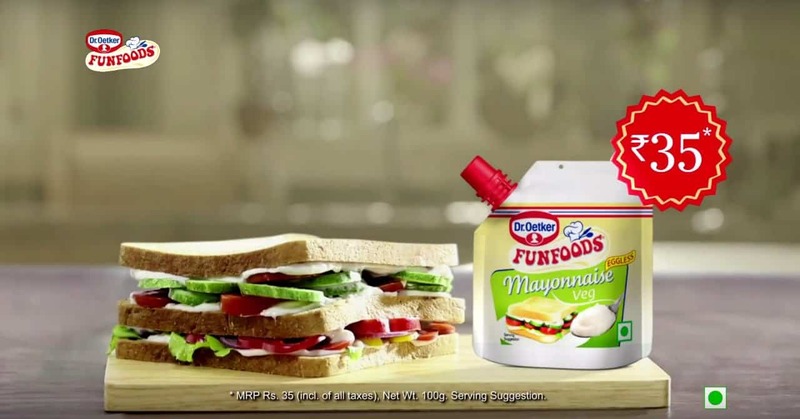 Ad campaigns consisting of three TVCs have also inspired users to expand their culinary skills with the help of experiments inside the kitchen. Other campaigns by the brand include its ‘Dare to Bake’ campaign that aims at supporting home baking sales during Easter time. 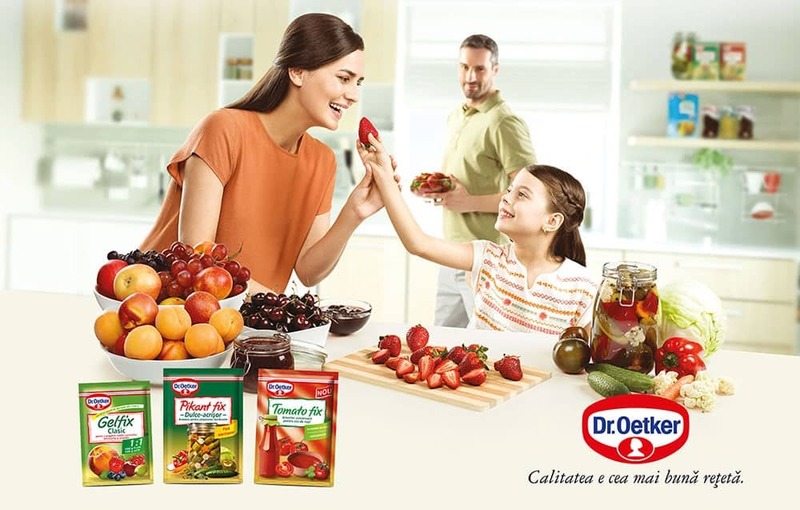 Dr. Oetker came to the Indian subcontinent in the year 2007 and acquired Fun Foods the next year. The brand that follows a very simple yet brilliant philosophy- ‘Quality is the best recipe’- is available across 40 nations worldwide, including countries in Asia, Africa, Europe, America and Australia and has an employee count of about 30,787 people (2015). The company has made for itself a unique and extremely strong name in the food processing industry that will hopefully last for a very long time in the future.